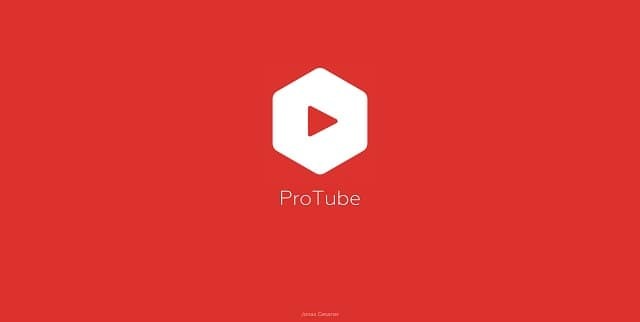 Jonas Gessner, the developer behind the most popular third-party YouTube app for iOS, today officially announced that his ProTube 2 app was removed from the App Store on September 1, 2017 due to legality between him and YouTube. The developer claims that he is not the only victim of YouTube’s takedown requests, he states that YouTube is flooding Apple with takedown requests in order to take down other YouTube apps found in the App Store. According to Gessner, YouTube made it its mission to remove ProTube from the App Store over a year ago when they first reported the app to Apple claiming that Gessner’s app violates their Terms of Service. The request didn’t have any impact because it was a genetic takedown request sent to many third-party YouTube apps at once. YouTube basically wanted to eliminate ProTube as a competitor, requesting its developer to stop charging for it and remove prominent features such as 60fps videos, background playback, audio only mode. Removing all those features would have made ProTube worse than the official YouTube app and would cause ProTube users deflect to the official YouTube app. In order to avoid any legal conflict with YouTube, Gessner decided to voluntarily remove the app of the App Store. Users who purchased the app can still continue to use the app with no problem until YouTube make any any changes to their API, which will break the app in the future. Gessner further explains that releasing the app on Cydia for jailbroken devices is not a viable option. This is because only a tiny proportion of iOS users have a jailbroken device. This would also means that users who have already purchased the app from the App Store will have to buy the app again off Cydia.